From single steel framed garden gates to large manual sliding gates, S & S Fabrication and Fencing can offer a solution to your requirements. Our steel framed gates with wooden inserts combine privacy with style and added durability. 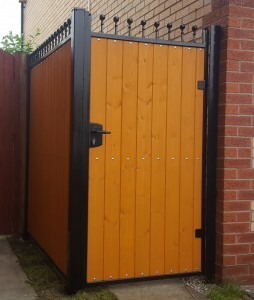 The steel frame is normally made from either 30 x 30mm or 40 x 40mm box section depending on the overall size of gate. 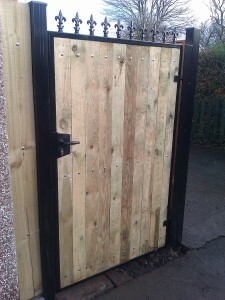 This makes the gates stronger than most wooden only gates and will not sag over time. 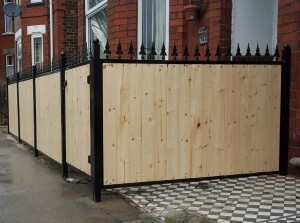 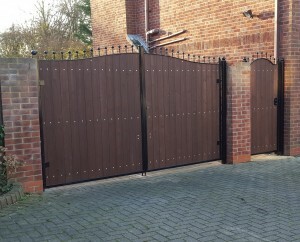 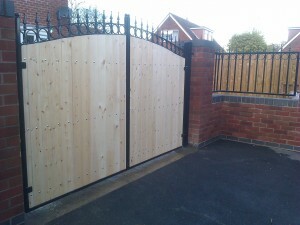 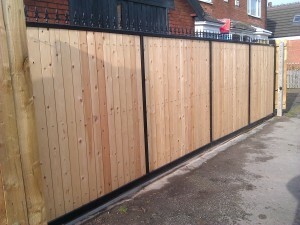 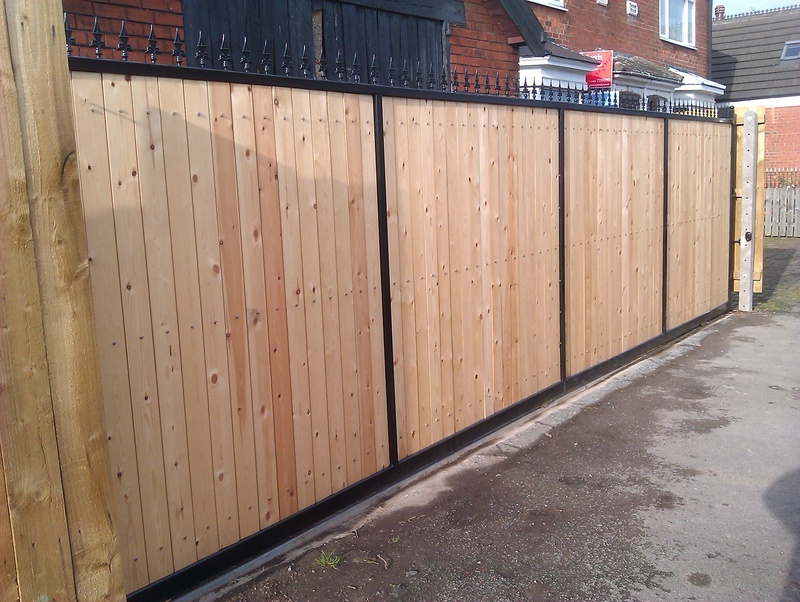 The gates are normally clad with 15mm or 22mm softwood tongue and groove depending on your requirements which offers great privacy. 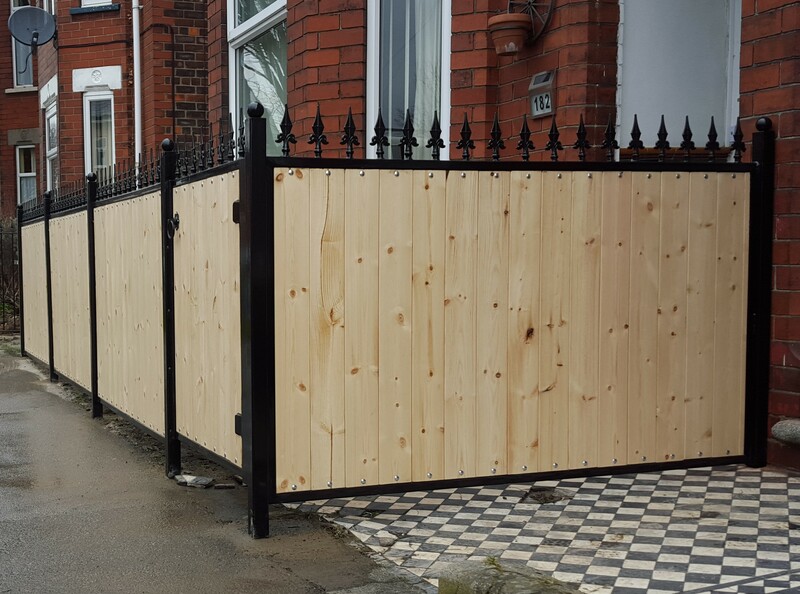 The tongue and groove inserts can either be left natural for you to stain in the colour of your choice or we can pre stain the wood prior to fitting. 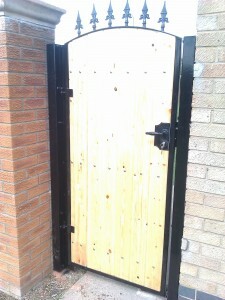 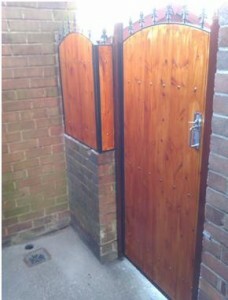 The gates are supplied with a ring latch as standard. 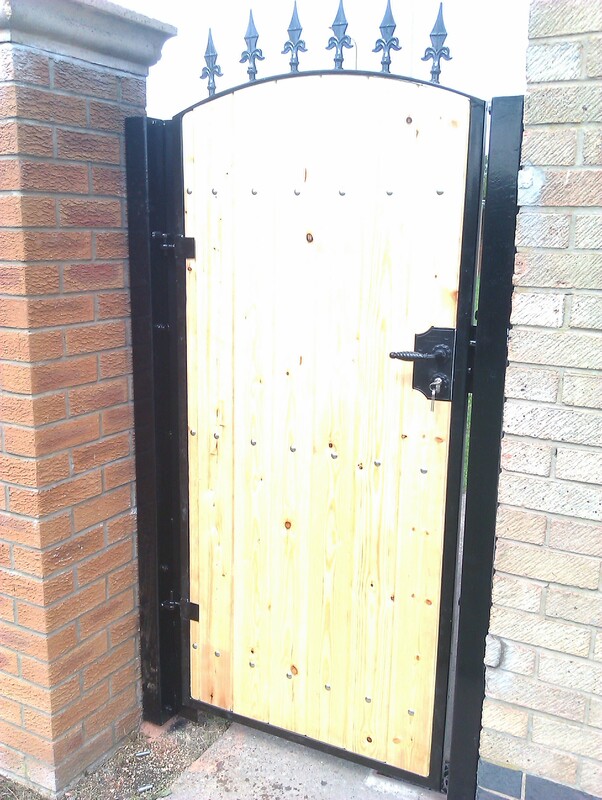 If you need to lock the gates we can fit a slide bolt that can be padlocked or you can upgrade to an outdoor keyed lock which comes with 3 keys. 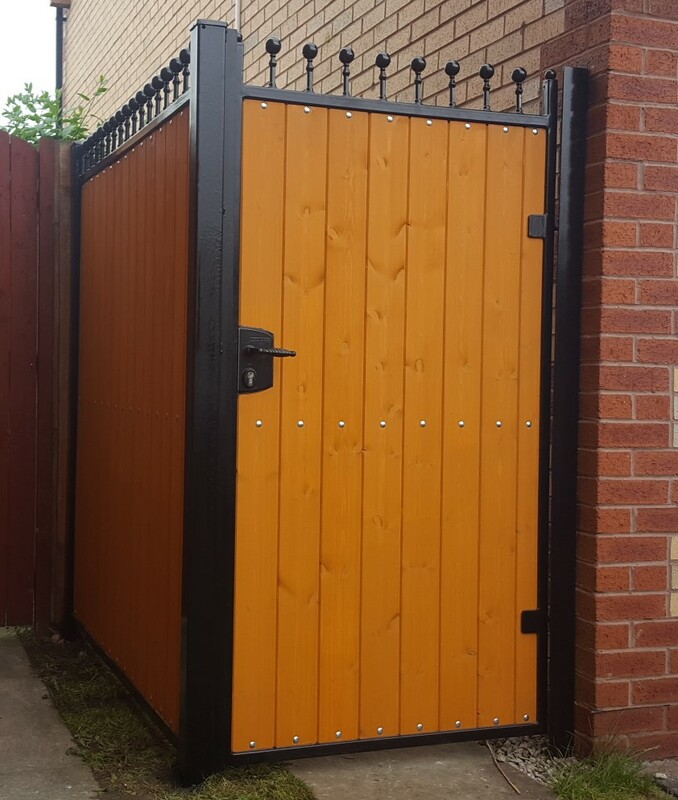 All steel work is powder coated and galvanised (dipped in hot zinc to form a protective coating) as standard, to ensure highest quality and minimum maintenance.